Video of a 3-year-old boy joyfully riding a 20-foot python during a flood in the streets of northern Vietnam caused a stir online. The footage, which went viral Monday, showed the boy, named Truong, riding his family’s pet snake in Thanh Hoa province in northern Vietnam. The boy can be seen riding the massive snake like a horse in the flood-ravished street of his town. The boy's aunt, An Nguyen, dismissed chatter that the snake was a hoax. She said the family kept the nearly 180-pound reptile in their home for four years, according to The Daily Mail. 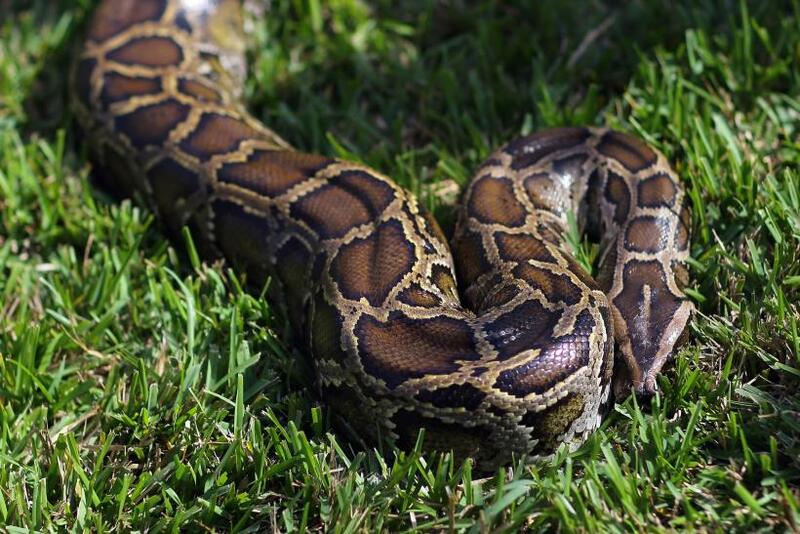 "He is three years old and the python is 80kg (176 pounds)," she said. "The family have had the python for four years as a pet and it is very gentle.It was a rainy day and the water flooded to the edge of the yard. So they put the python in there to play and relax." Flood waters inundated the country this week, killing at least 54 people, and immersing hundreds of thousands of homes. The footage circulated the internet causing some to question the boy's safety. "Just takes 2 seconds and 6 men wouldn't get that child out if it's clutch. Sadly, only a matter of time!" one Facebook user said.